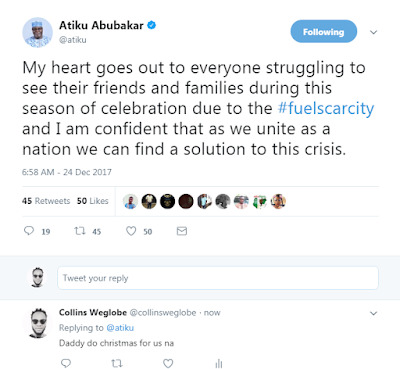 Former Vice President of Nigeria, Alhaji Atiku Abubakar has reacted to the ongoing Fuel scarcity in Nigeria. 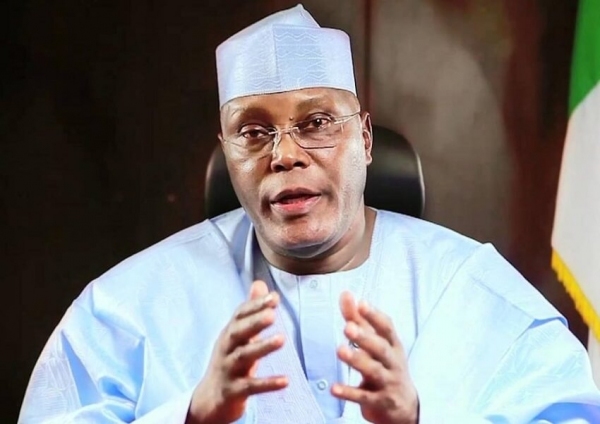 The Former Vice President stated reaction his Twitter account. "My heart goes out to everyone struggling to see their friends and families during this season of celebration due to the #fuelscarcity and I am confident that as we unite as a nation we can find a solution to this crisis."